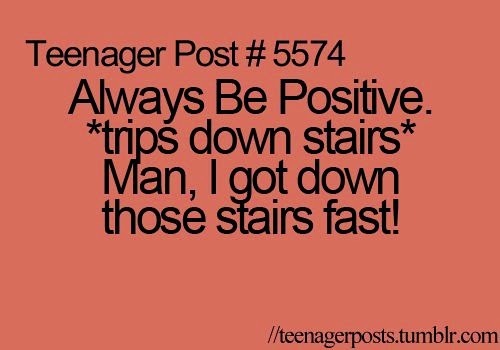 I have always tried to stay positive for others. Meaning when talking to someone I would try to look on the brighter side of everything for them.... I would say something like the example above. I guess I would do that in front of them, but inside I have always been hard on myself. Sometimes the negative thoughts seem to creep in more often then I would like them to. I have such a great boyfriend that is very supportive of me. With him, I feel as if I am being guided in a new direction and am now starting to view life differently. I now see life as a place to have fun and find inner happiness for my own well-being. Yes I do have physical pain, but I am learning to cope. I do this by trying different techniques that help manage my pain. Once I started experiencing chronic pain, I was determined to get better! The only one that can help me is myself, so I started doing research on fibromyalgia and on the different techniques used to manage the pain. Not everything is going to work for everyone the same, but in trying these things it gives me a sense of hope. 4. Communicate my feelings more (growing up I never talked about "feelings"...what is that? If a situation came up where I needed to I would feel AWK-WARD! They were too mushy-mushy. Now that I'm older, I find it really helps to communicate and I'm ok with it...shhhh don't tell anyone). 5. Exercise regularly and eat healthier options (fitness and nutrition really play a BIG role in the way I feel).